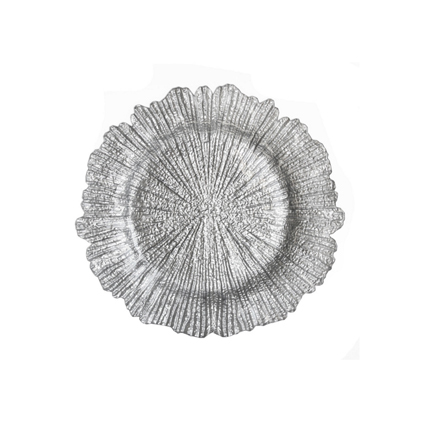 Glass Charger Plate - Silver Reef 13"
Accent your dinner tables with this contemporary 13" round Reef silver glass charger plate! Made of solid glass, this charger plate features an eye-catching coral reef-inspired design. 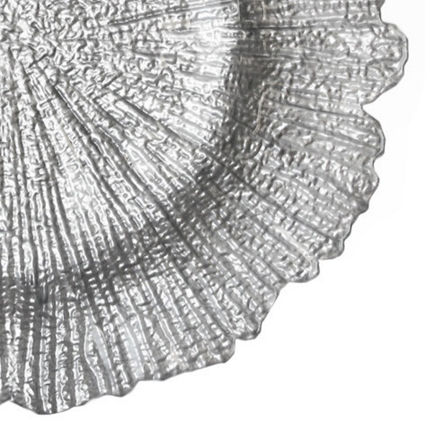 Chic and stylish, this silver glass charger plate adds character to your fine dining experience. 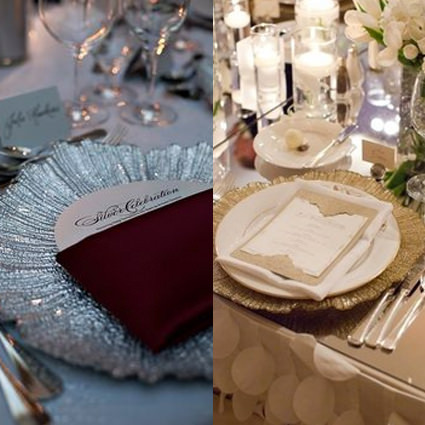 This charger plate makes the ideal addition to wedding receptions, parties, upscale catered events, and other special events. This is a "Food safe" charger plate. They are not only great for use in their traditional sense, placed beneath dining vessels, but they also double as appetizer or dessert trays. Place appetizers or desserts atop these trays before or after dinner. They're great for use with fresh fruit or cut fresh vegetables, meat and cheese platters, and more.